Many children struggle with fears; of the unknown, of new things, of appearing incompetent. These fears, if not confronted and conquered, can carry over into our adult lives. At the YMCA, we support the development of our youth by enabling them to develop life skills, empowering them for the future. In our Aquatics programs, we see success after success as children face their fears and learn to swim. Lakenzia Ham is one of those success stories. In 2009, she began swim lessons at the YMCA where she learned the basic strokes, as well as, how to mentally attack her fear of deep water. By the third summer of swim lessons, Lakenzia was swimming confidently. Today, she assists other children in staying calm in the deep end of the pool and especially loves being able to swim to the deep end at the YMCA’s Camp Henry Pratt. “I want to teach my little sister how to swim one day”, says Lakenzia. She also thinks working as a YMCA lifeguard would be fun. 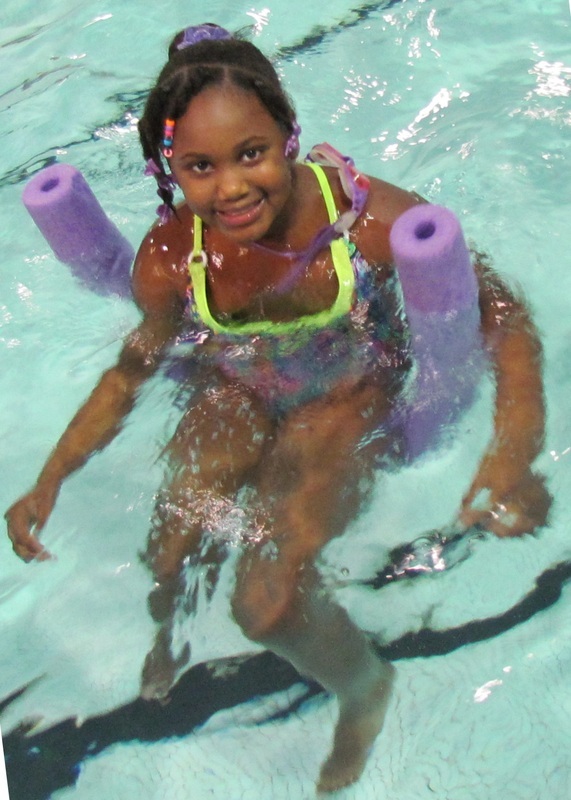 Lakenzia is one of many children who have learned a valuable life skill in a YMCA program. Over 200 kids took swim lessons during the summer of 2013. At the Y, we’re for Youth Development.